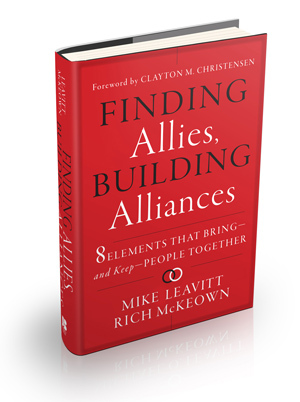 In Finding Allies, Building Alliances, thought leaders and business partners, Mike Leavitt and Rich McKeown, take on the status quo and build their case that collaboration and value alliances are critical to enacting effective change in corporations, organizations, and governments. 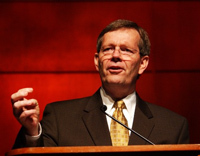 Leavitt and McKeown draw on their public and private sector experiences to take the reader inside the critical discussions and decisions that led to identifying organizations with aligned interests such as the successful organization of the 2002 Winter Olympic Games and working with governments and businesses throughout the world to improve health care and product safety. If you are interested in interviewing either of the authors, please complete the contact form or contact Jordana Choucair at (801) 326-3553 or jordana.choucair [at] leavittpartners.com.